Show mom how much you appreciate her by letting her realize her Real Beauty with Dove at The Podium this weekend. Do you remember the Dove Beauty Summit that I blogged about HERE? Now's your chance to experience it for yourself! 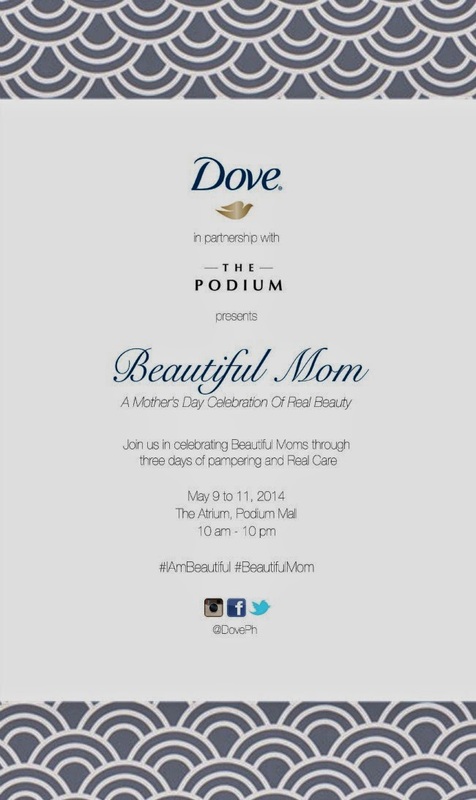 Dove's "Beautiful Mom" is basically the same thing condensed into one weekend for all moms out there to enjoy. It's something you shouldn't miss. I guarantee, this will be one of the most memorable experiences of your life.